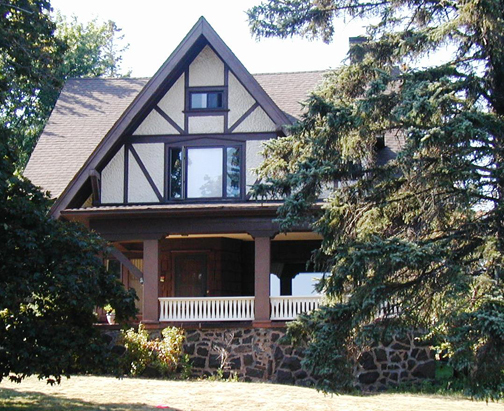 This craftsman style home was built in 1909 by a lumber baron and it shows, the beamed ceiling in the living and the massive cornice brackets make this shingle style home a beauty. Please don’t miss the secret garden on the west side of the home. This home was built with a fantastic view of Lake Superior and in one of the most prestigious neighborhoods of the time.